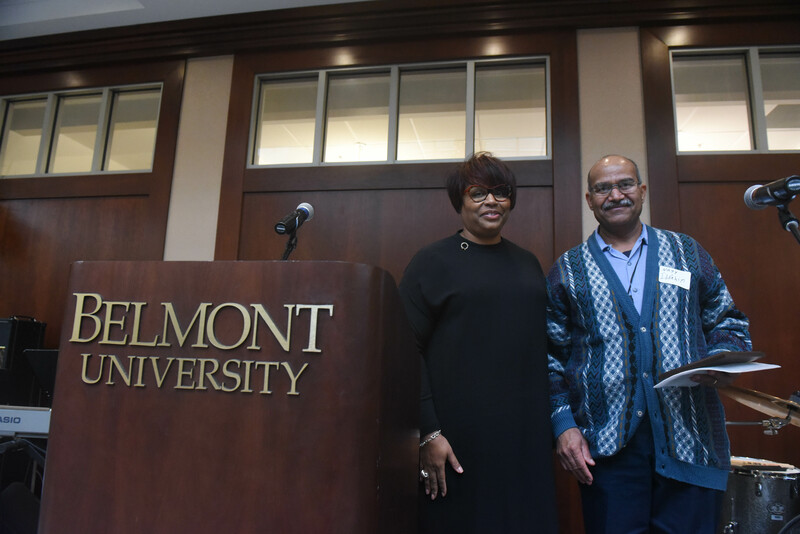 The newly created It’s All Belmont to Me Award, a designation created to honor a member of the Belmont community who exhibits the University’s longstanding “It’s All Belmont to Me” mantra, was recently presented to Housekeeping Staff Member Nagy Ibrahim. The phrase, created as part of Belmont’s Vision 2010 initiative, represents a customer-focused mindset. The award was created to recognize staff members who work to connect their gifts with the needs of others, consistently demonstrating the initiative’s five guiding principles of showing care, taking responsibility and following through, doing it right, making it seamless and walking the talk. Understanding the significance of this newly created award, Ibrahim said he was honored to be recognized, but quickly noted that he doesn’t believe he deserves the designation. He’s just happy to be part of the Belmont community. With two daughters currently attending Belmont, Ibrahim said he’s so grateful to the university for all it does for its employees–including his wife, a fellow member of the Housekeeping staff. The inaugural award was presented at this year’s Staff Christmas Breakfast.